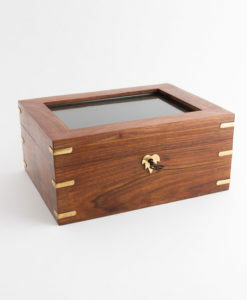 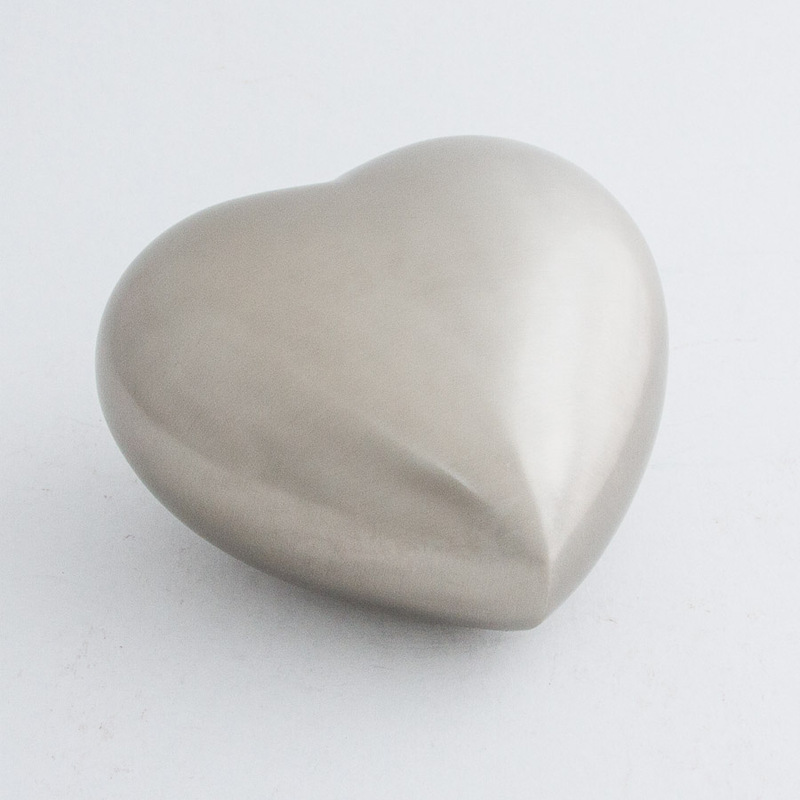 Size Small 5″ – volume capacity 31 cubic inches to hold ashes of a person weighing up to 14kg’s. 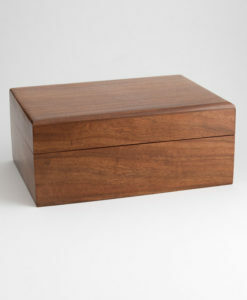 Measures 5 x 5″ and comes in a black velvet box. 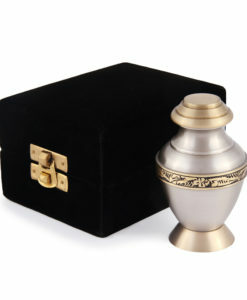 Keepsake 3″ with black velvet box – volume capacity of 5 cubic inches. 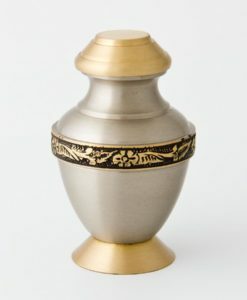 Suitable for token ashes only, or for pre-term still born babies under 25 weeks gestation. 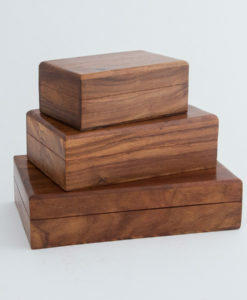 Measures 3 x 3″ and comes in a black velvet box. 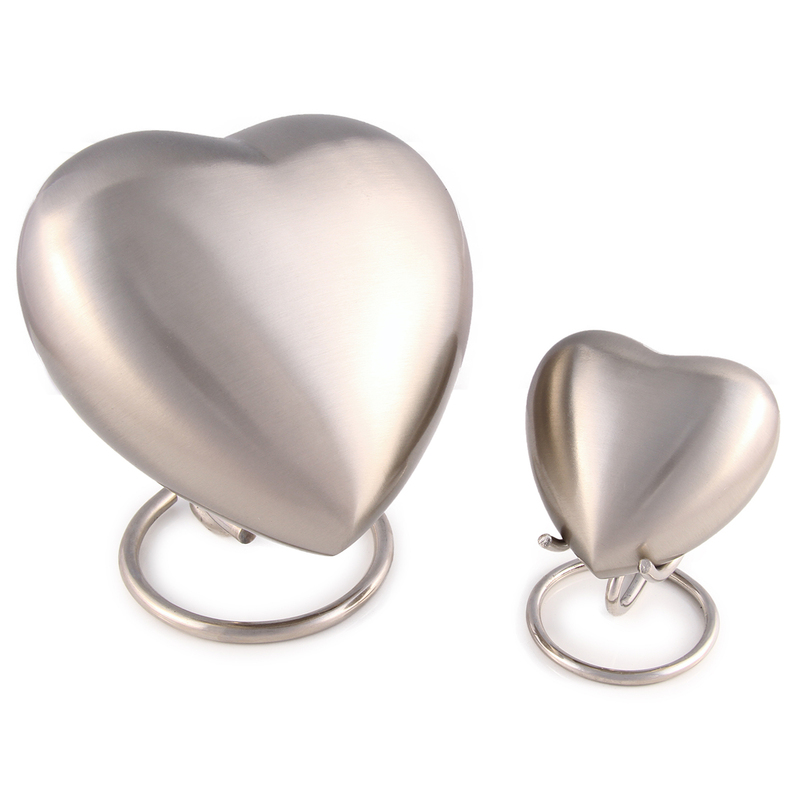 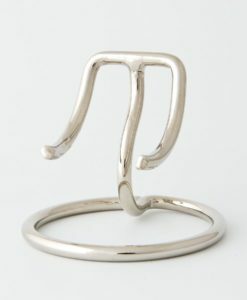 The stand is suitable for the keepsake heart at an additional cost. 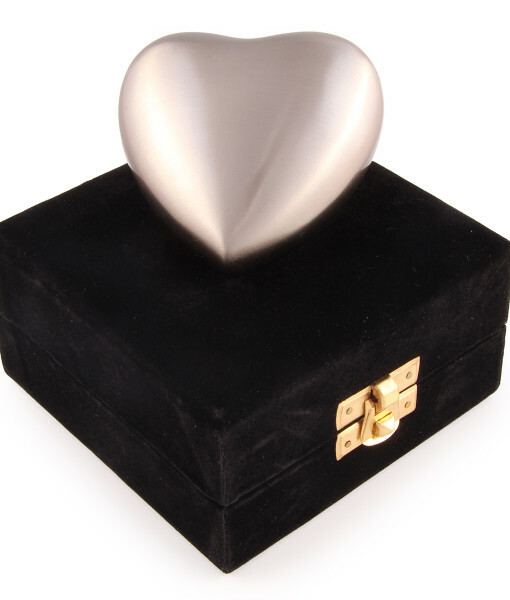 Angels Heart is a beautiful infant cremation heart style urn handcrafted from the finest quality brass.They are crafted and finished by hand with a securely fastened screw in plate underneath that can be permanently sealed. 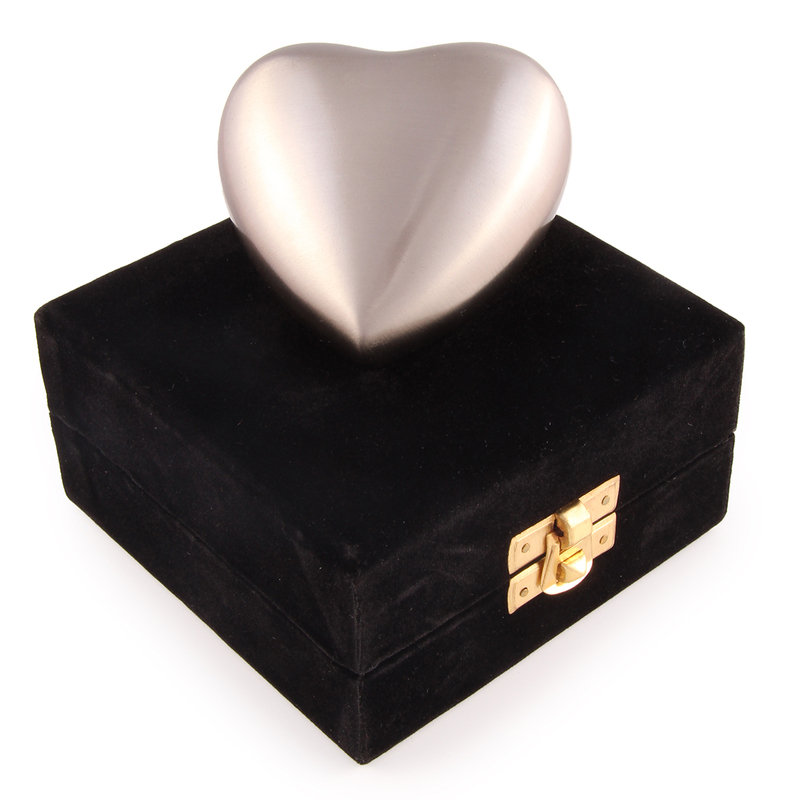 The keepsake 3″ heart is presented in a lovely velvet box to cherish forever. 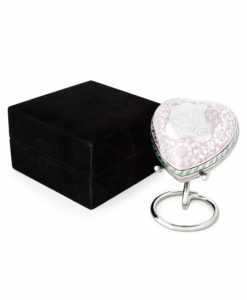 The 5″ small heart is presented in a velvet bag.